Are you looking for a Delta Dental Dentist in Albuquerque, New Mexico? Look no further. 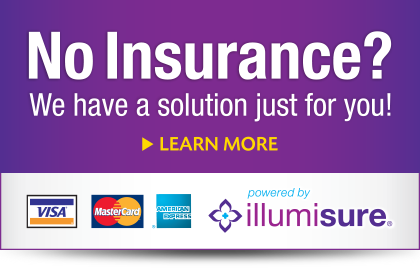 At TruCare Dental we accept all major forms of insurance, including Delta Dental. Our goal is to provide the best dental care to all Delta Dental members while providing the best customer service in Albuquerque. We can help you and your family with all your dentistry needs from exams, cleanings, fillings, crowns, bridges, veneers, teeth whitening, root canals, emergency dental care and much more. So if you have any questions about your dental coverage through Delta Dental, just call our office an we can help answer any and all questions about your dental coverage. What type of Delta Dental plan do I have? Since every employer provides different coverage to their employees every plan is a little different. Also, a confusing thing with Delta Dental is that the just because we live in New Mexico doesn’t mean you have Delta Dental of New Mexico. For example, a New Mexico employer could purchase a plan for their employees under Delta Dental of Washington. In order for us to find out thing like your annual maximum, deductibles and percentages in which procedures are covered all we need to do is gather a little information. Then, we will be able to figure out what type of plan you have and the best way to maximize your coverage should you need dental treatment. Which Delta Dental plans are covered at TruCare Dental? At TruCare Dental, we accept all Delta Dental insurance plans and all of our dentists are in-network Delta Dental PPO providers. So visit our conveniently located Albuquerque office and schedule your appointment by calling our office at (505) 369-0074 or make an appointment online.